Jamie Dimon, the outspoken CEO and chairman of JPMorgan Chase, has some choice words for his detractors. Dimon told a group of investors that those who follow the advice of shareholder advisory firms that have been critical of his leadership are "lazy." 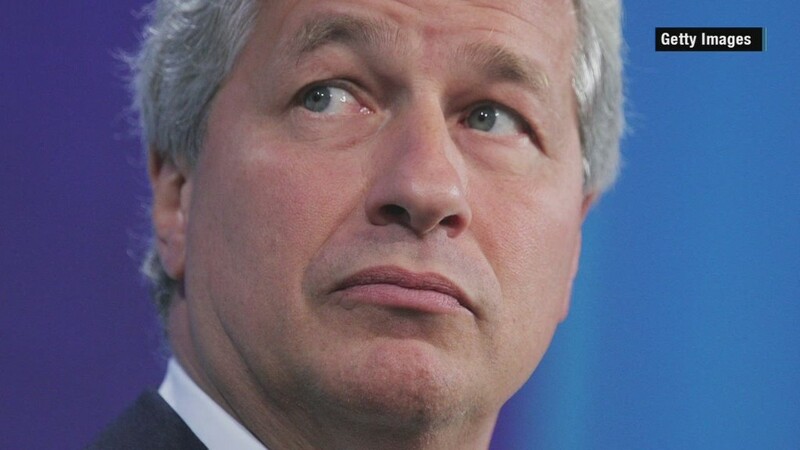 "If you do that, you are just irresponsible, I'm sorry," Dimon said Wednesday at a conference hosted by Bernstein in New York. "And you probably aren't a very good investor either." The trash talking didn't stop there. Dimon went on to suggest that some of these lousy investors were in the room with him. "And you do, believe me, I know some of you here do it, because you're lazy," he added. The harsh comments were directed at shareholders aligned with ISS Proxy Advisory Services and Glass Lewis, two influential firms that have urged shareholders to vote for proposals to strip Dimon of his chairman title. ISS and Glass Lewis have argued that Dimon has too much influence over JPMorgan's board of directors, specifically when it comes to determining his pay. At JPMorgan's annual meeting last week, 38% of shareholders voted against the executive compensation plan. Related: Consumers tell banks to protect our data or else! Dimon also asserted Wednesday that splitting the roles of chairman and CEO that he holds is "not important," though he acknowledged that "you do want the board functioning well." JPMorgan's (JPM) board has been meeting without Dimon for years, at his request. Dimon said he presents board members with his recommendations and then leaves the room and allows them to "talk freely among themselves." Later on, he said, the lead director will give him "feedback" on the deliberations. A spokesman for ISS declined to comment.